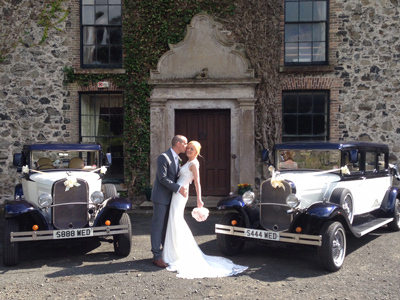 We have a matching pair of beautiful Bramwith vintage style wedding cars. 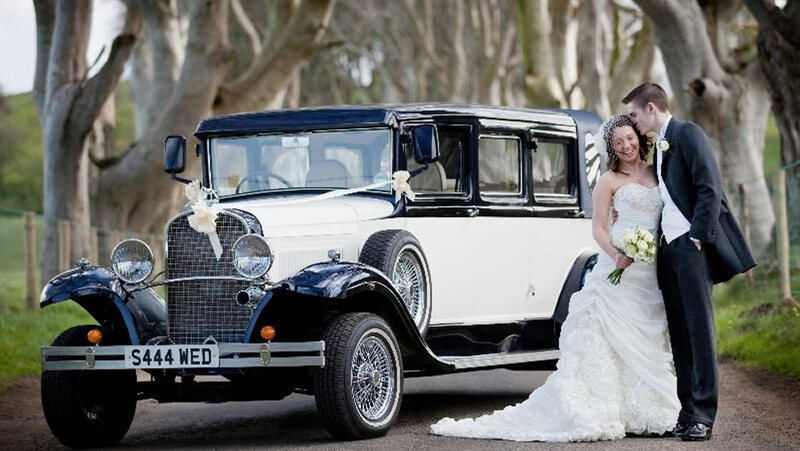 For that classic look for your weddings these wedding cars have a high roof and large opening doors , enabling a bride and groom to get in and out with style and grace. It doesn't stop there, inside there are two large seats facing toward each other and they can take up to six passengers, making them perfect for bridesmaids and family. The back hood of the Bramwith folds down to allow for some fabulous photographs, and makes for a spectacular entrance at any church or reception venue. And for that special touch on your wedding day we supply the cars with matching ribbons and bows that perfectly match the cars.